Faith in God the Father and in His Son, Jesus Christ, is the first principle of our religion and the foundation of all righteousness. Joseph F. Smith centered his faith in his Father in Heaven, in the Lord Jesus Christ, and in the simple and constant truths of the gospel. When Joseph F. Smith was young, his faith was greatly strengthened by his mother’s devotion to duty and to righteousness. It is necessary to have faith in God and in His Son, Jesus Christ. He Is Risen, by Del Parson. President Joseph F. Smith taught that it is “necessary to have faith in God, . . . in Jesus Christ, his Son, the Savior of mankind and the Mediator of the New Covenant; and in the Holy Ghost” (Gospel Doctrine,100). First … it is necessary to have faith in God, faith being the first principle in revealed religion, and the foundation of all righteousness. Faith in God is to believe that he is, and “that he is the only supreme Governor and independent Being, in whom all fulness and perfection and every good gift and principle dwell independently,” and in whom the faith of all other rational beings must centre for life and salvation; and further, that he is the great Creator of all things, that he is omnipotent, omniscient, and by his works and the power of his Spirit omnipresent [see Joseph Smith, comp, Lectures on Faith (1985), 10]. Faith, a gift of God, is obtained by obedience. Faith in God will sustain us in times of adversity. The need of one’s having a keen knowledge of the truth is paramount. So also is it that every Latter-day Saint should have a deep-rooted conviction of the justice of God, and an implicit confidence and faith in his being and mercy. To rightfully understand the gospel and to be able to keep his commandments such knowledge is absolutely necessary. Let each person ask himself if in his soul there is a sharp and immovable conviction of these facts. Could anything that might occur to you … change your faith in the purposes, and in the absolute justice and mercy, of the Lord, or in the saving power of his gospel, the message of his salvation? If so, your faith is not deep-rooted, and there is strong need of your becoming convinced. The scriptures abound in examples of men who were unflinchingly grounded in an abiding faith in God. There is need of every young man leaning upon such a pillar of strength. In Abraham we have another example of devotion to the word of God, and faith in ultimately sharing his goodness. … In Abraham’s willingness to trust in God in the greatest trial that could come to a father—the sacrifice of his son—we observe deep-rooted faith and abiding confidence in the Almighty being able and willing to fulfill his promises, no matter how improbable it might appear under the most trying circumstances. … So will he do with all who trust him, for the promise is to all. By faith we can enter into God’s rest. No man can obtain the gift of eternal life unless he is willing to sacrifice all earthly things in order to obtain it. We cannot do this so long as our affections are fixed upon the world. What is faith? Why is faith in God and in Jesus Christ “the foundation of our religion”? How is faith obtained? How can we enrich and strengthen our faith? What is the relationship between faith and works? How can we effectively help our children develop faith in Jesus Christ? 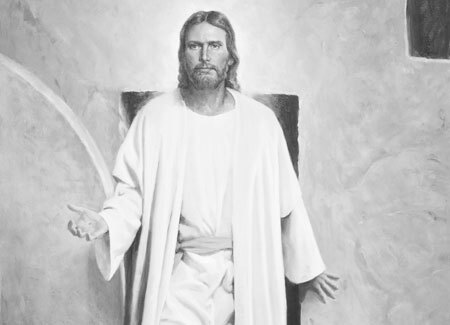 To endure adversity, why must every Latter-day Saint have complete faith in the “absolute justice and mercy” of the Lord and in “the saving power of his gospel”? What can we learn about faith from the examples of Abraham, Job, and the early leaders and members of this dispensation? In the midst of your most challenging experiences, how has trusting in the Lord strengthened and blessed you? Why is it important for us to know that the course we are pursuing is “in harmony with the will of God”? How can we know this? What is the “courage of faith,” and how can it be effective in our daily lives? Why must we be willing to sacrifice all earthly things in order to obtain the gift of eternal life? What does it mean to enter into God’s rest? How can we enter into this rest now? See Edward H. Anderson, “A Biographical Sketch,” in Gospel Doctrine, 5th ed. (1939), 529. “Fiftieth Semi-Annual Conference,” Millennial Star, 15 Nov. 1880, 724. In Brian H. Stuy, comp, Collected Discourses Delivered by President Wilford Woodruff, His Two Counselors, the Twelve Apostles, and Others, 5 vols. (1987–92), 5:29. Gospel Doctrine, 444–45; paragraphing altered. Deseret News: Semi-Weekly, 6 Feb. 1893, 2; paragraphing added. “Reading,” Young Woman’s Journal, Aug. 1917, 412–13. In Conference Report, Apr. 1915, 138.